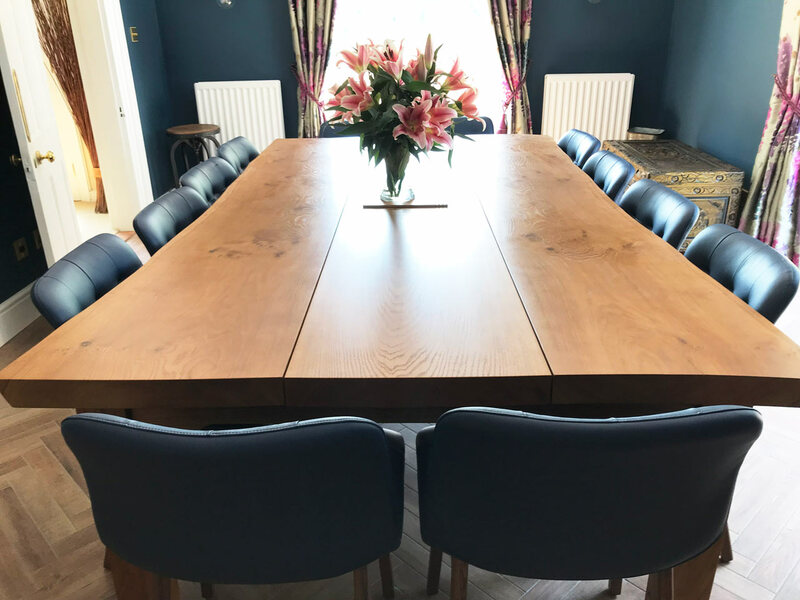 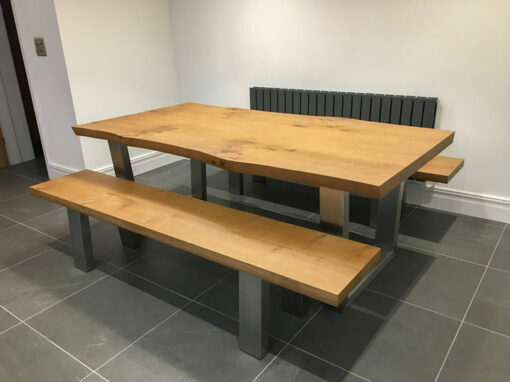 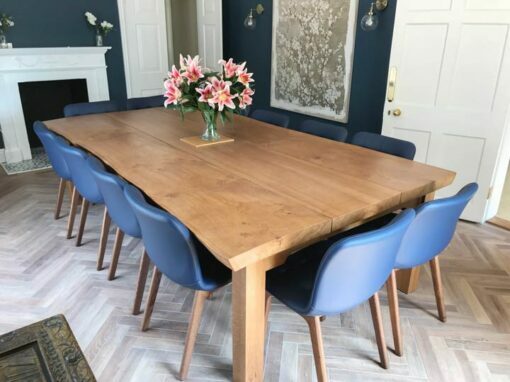 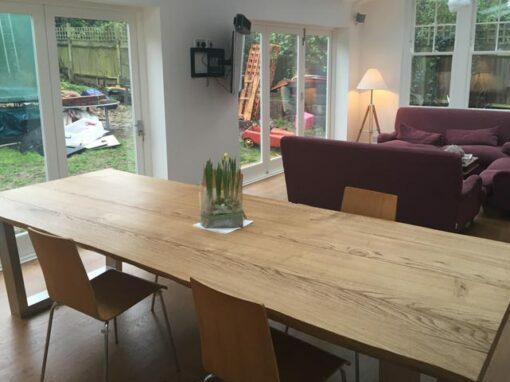 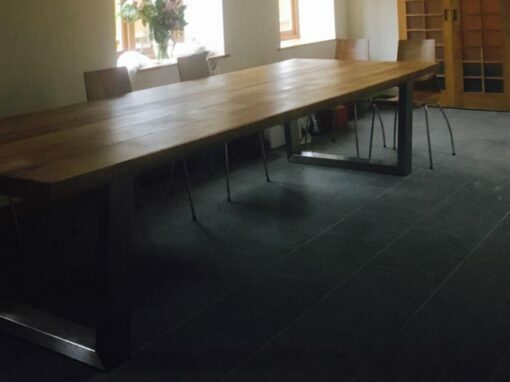 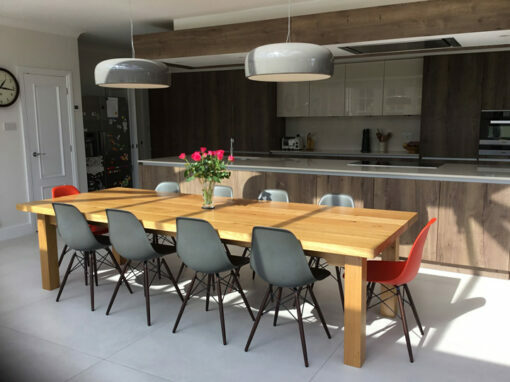 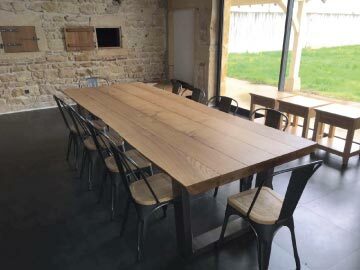 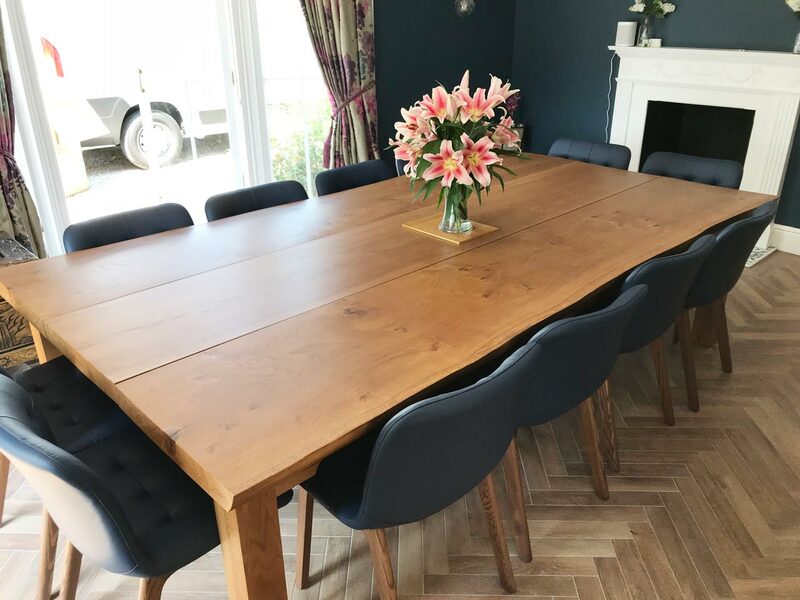 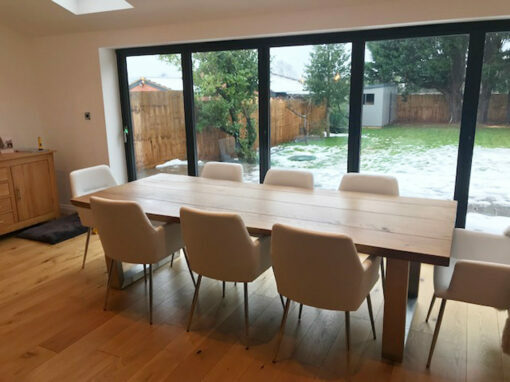 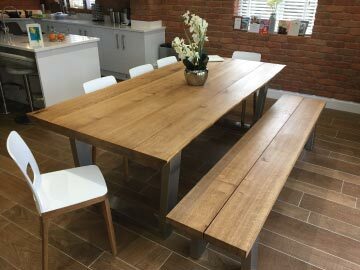 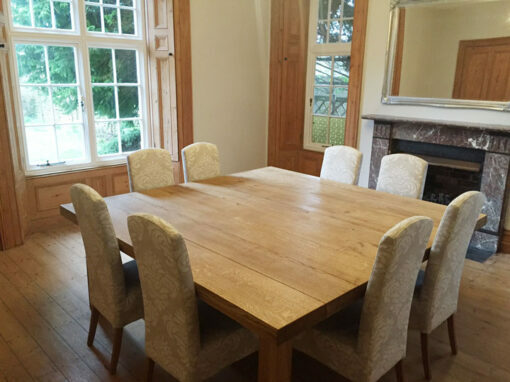 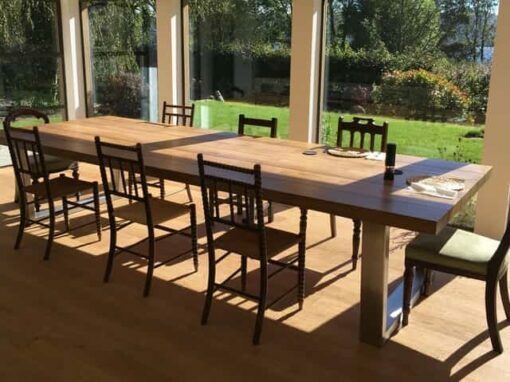 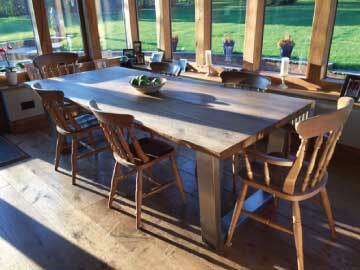 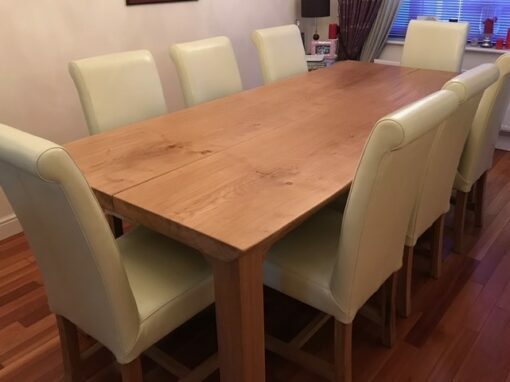 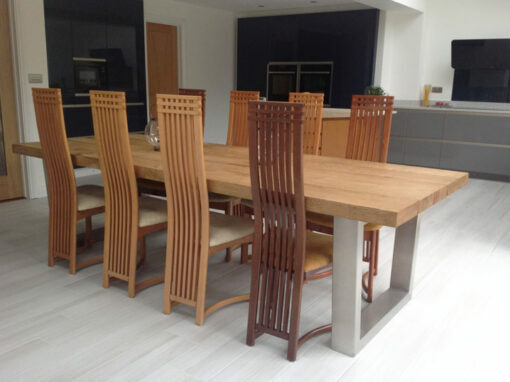 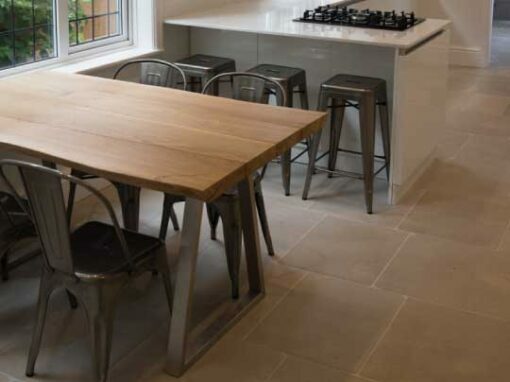 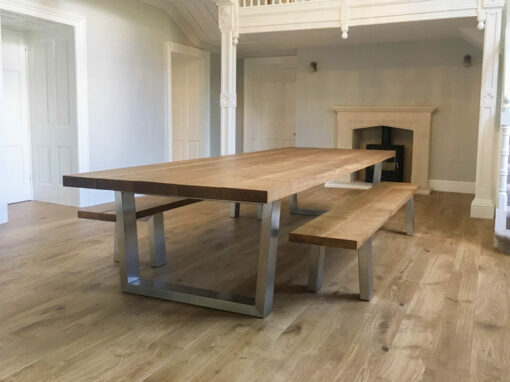 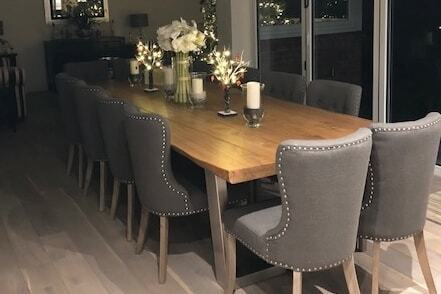 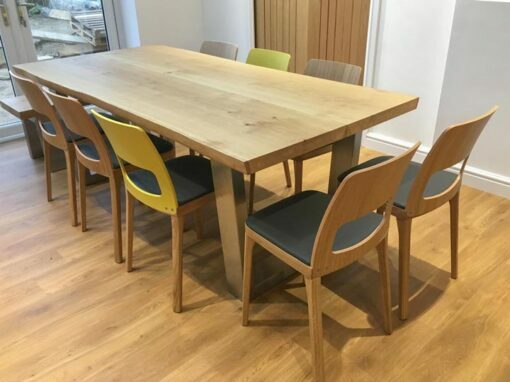 A large farmhouse dining table and chair set which was made for this impressive newly refurbished listed building. 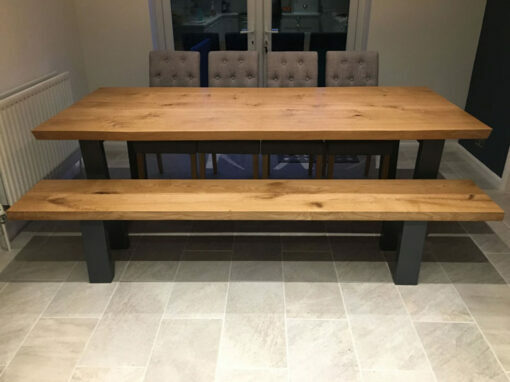 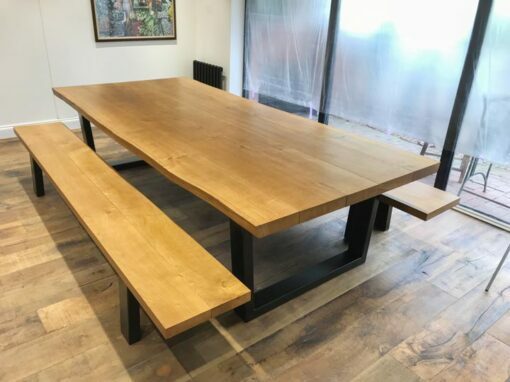 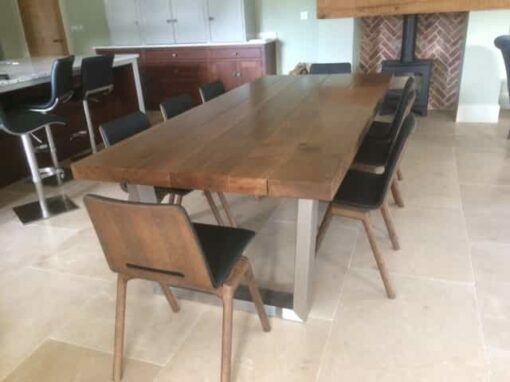 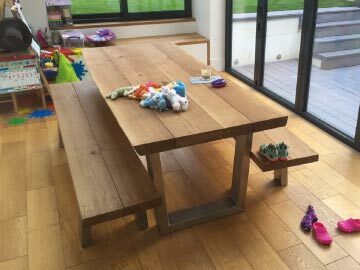 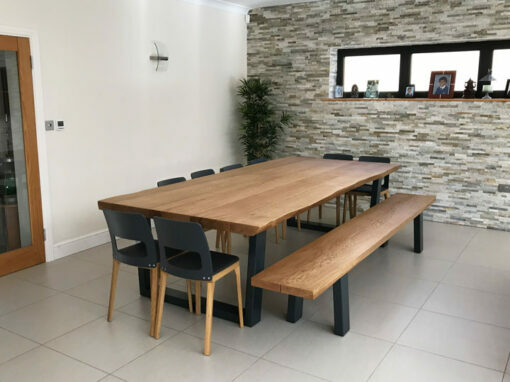 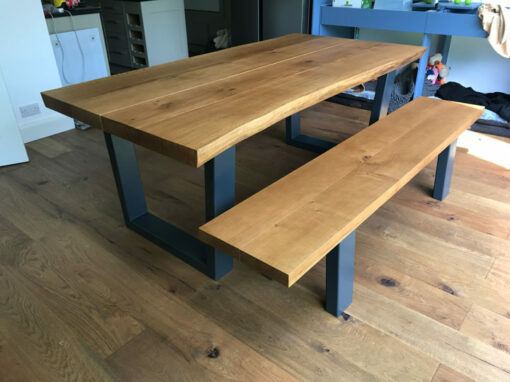 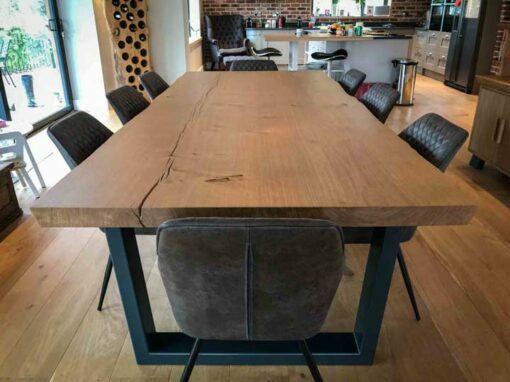 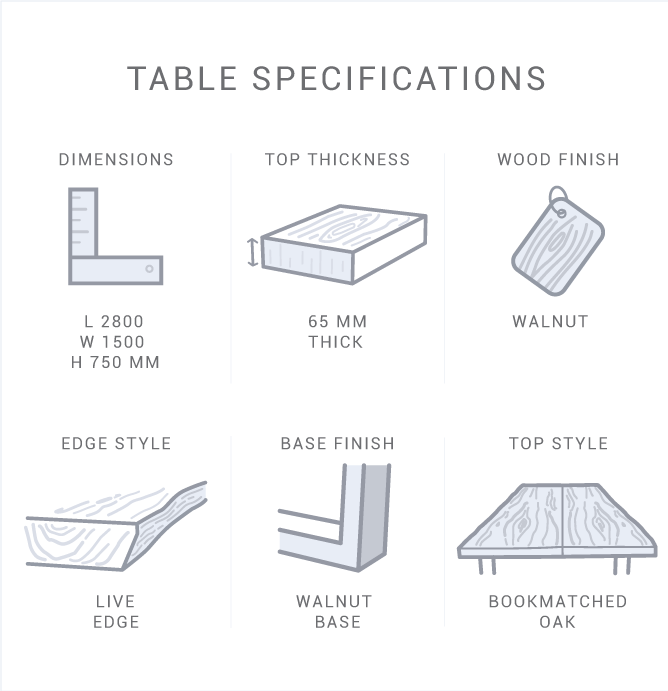 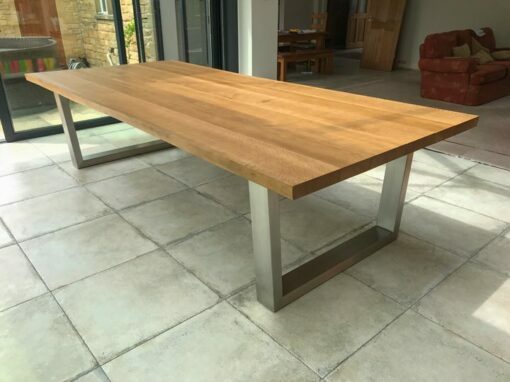 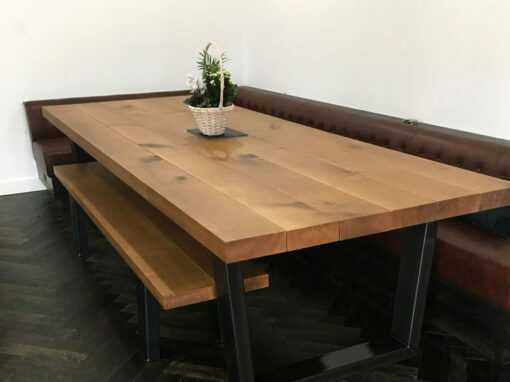 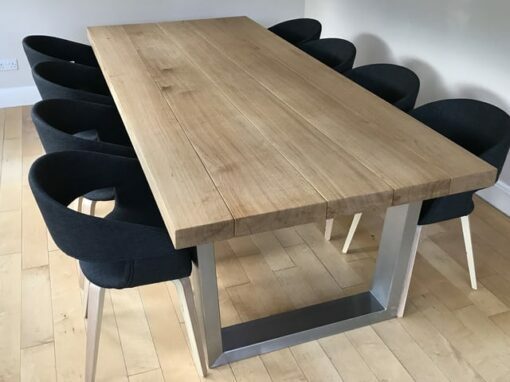 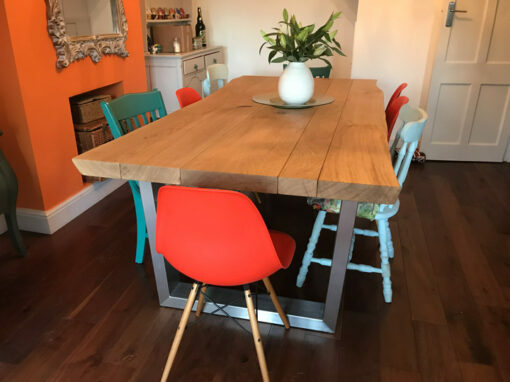 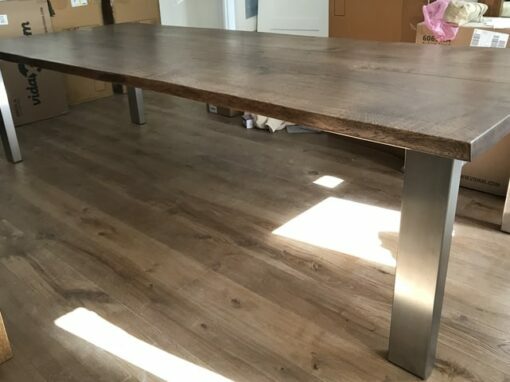 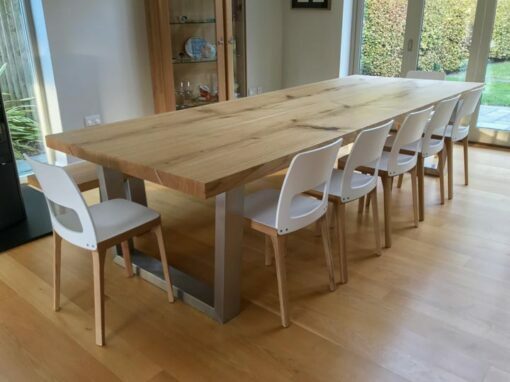 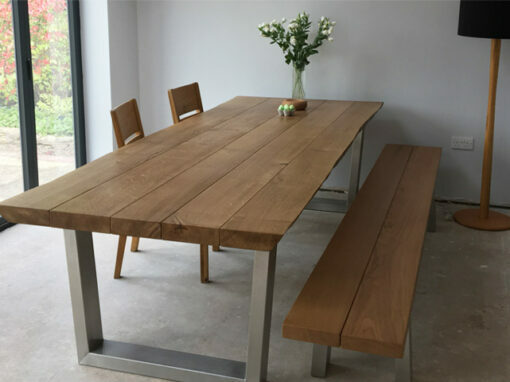 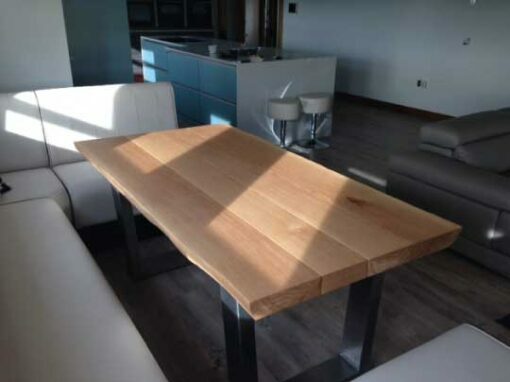 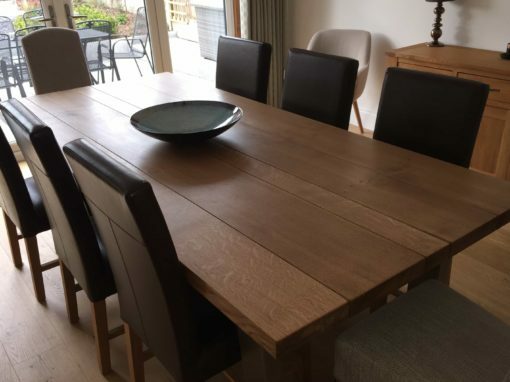 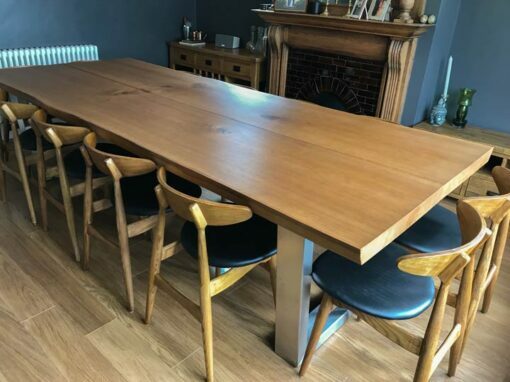 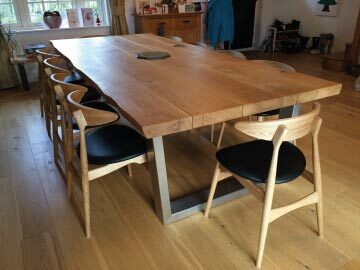 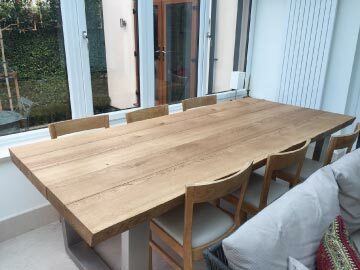 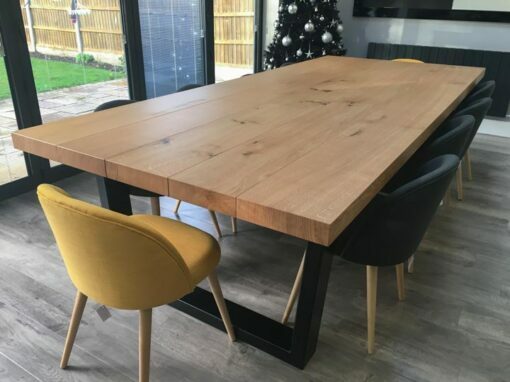 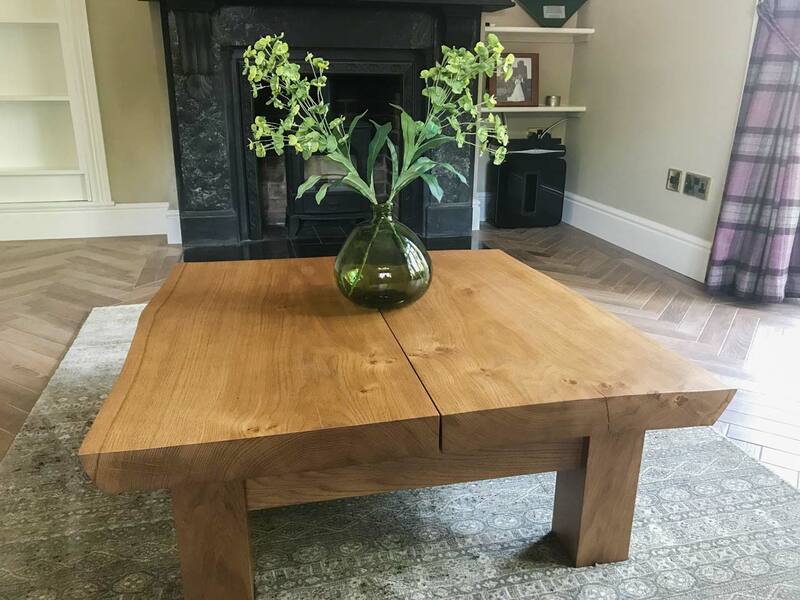 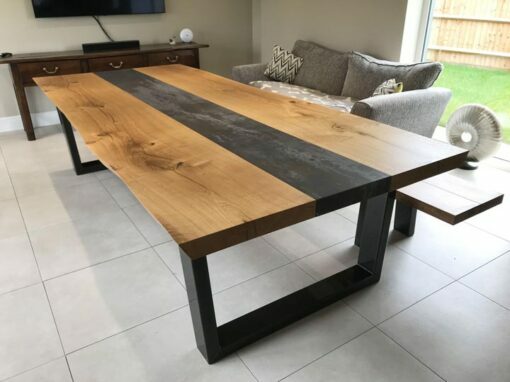 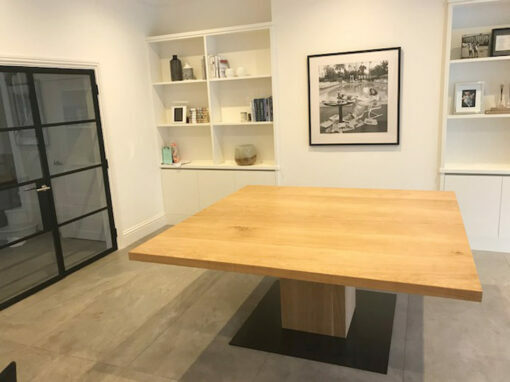 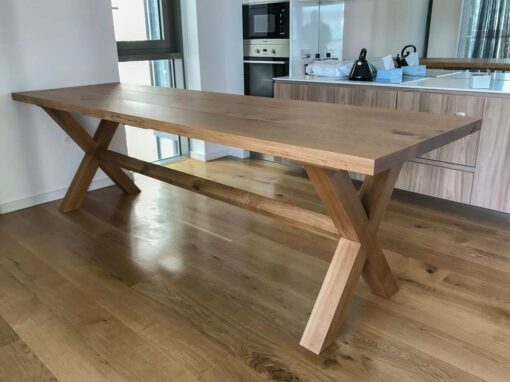 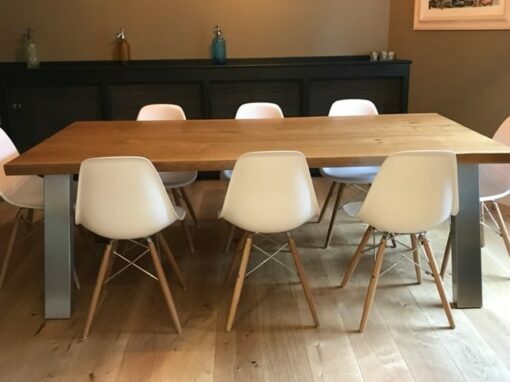 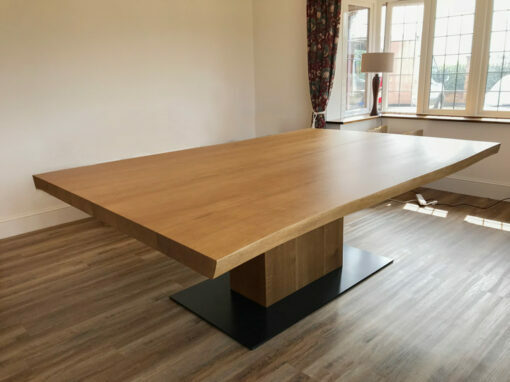 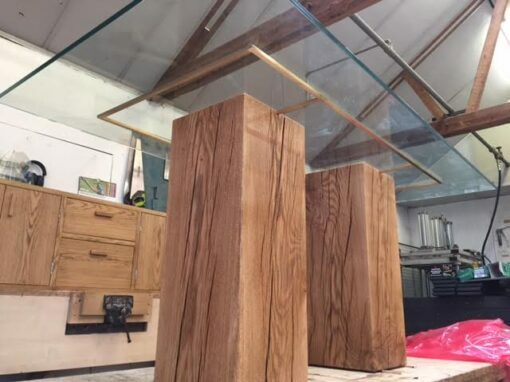 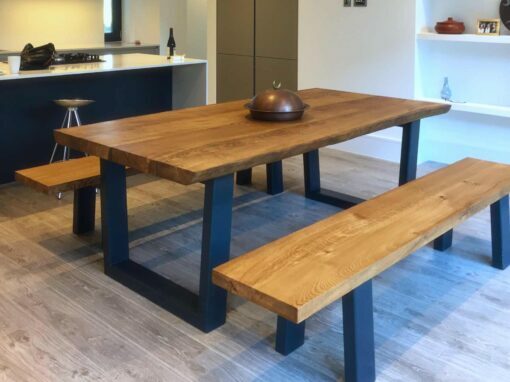 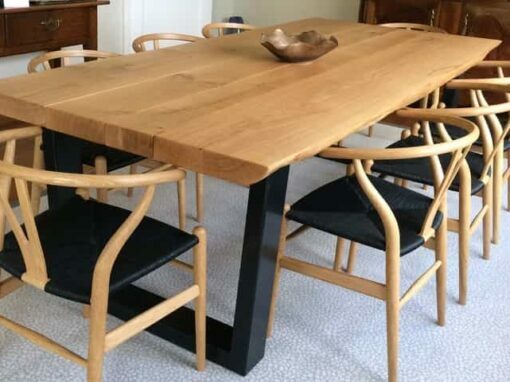 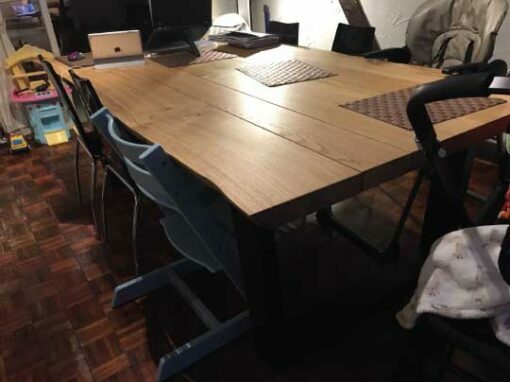 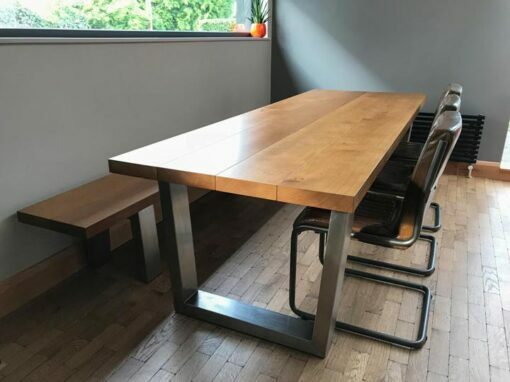 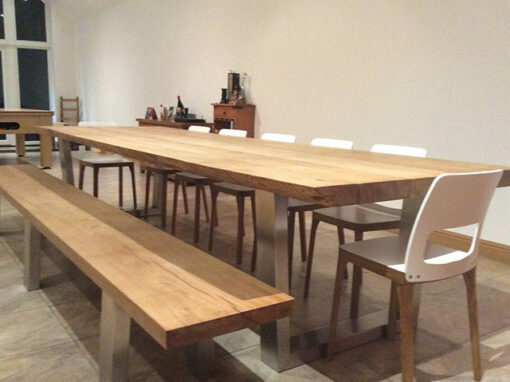 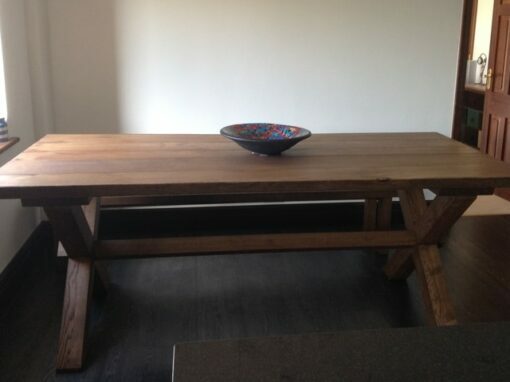 The customer wanted something modern that retained a classic style, so a book-matched farmhouse table was perfect. 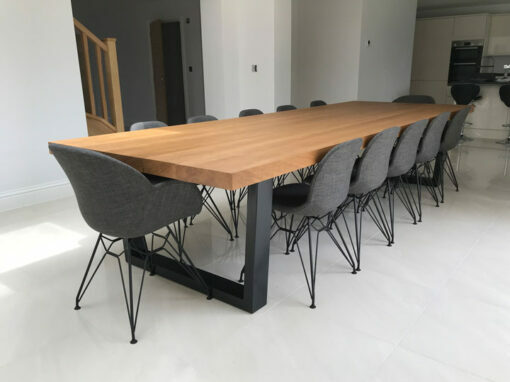 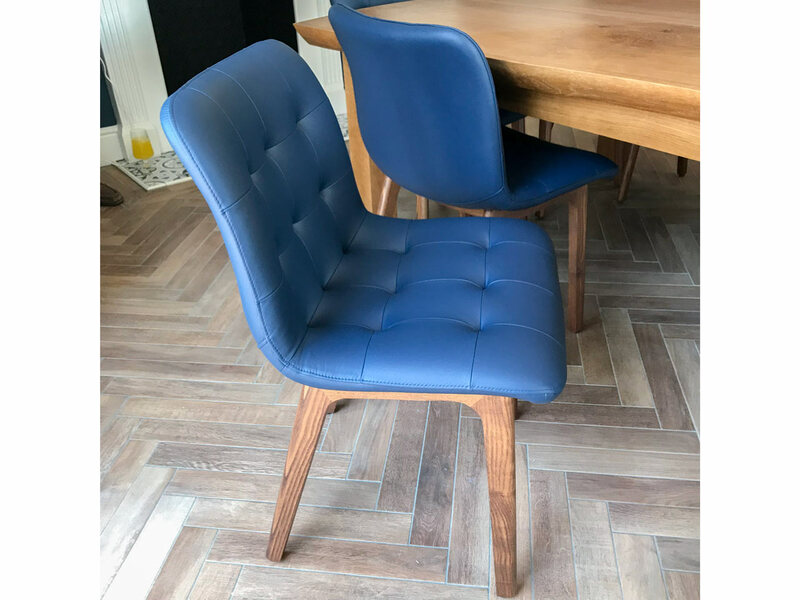 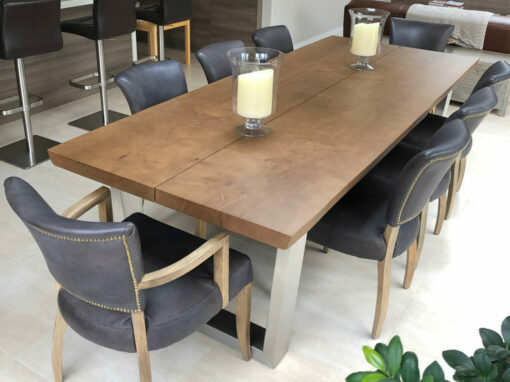 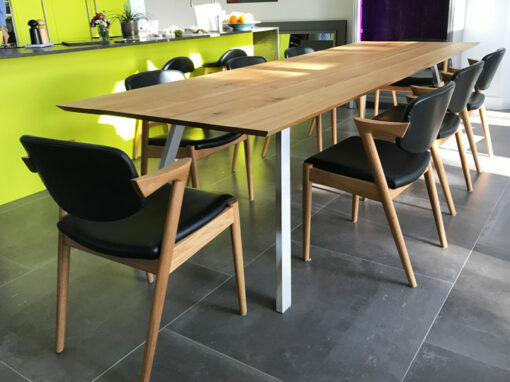 We sourced the chairs from Italy with paper leather, and legs to match the table top. 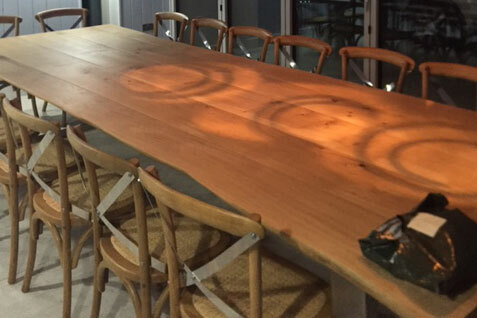 This dining room has a secret book-shelf passage way too… very cool!